FAQ’s: Website Localization - Niki's Int'l Ltd.
Do You Have to Have a Localized Website in Order to Have Effective International Sales? The answer is yes! Reaching an international market through an ecommerce site is a great way to penetrate various diverse markets, however, your target market must be able to read the content on your website in order to make purchases. If you’re goals are to attract an audience who speaks a different language, you must invest in website localization in order to provide the most basic of needs, understanding. The bottom line is, if a person can not read or understand the information regarding process, products or payments there is no way they will spend their money with your company. Website localization is vital to your success when integrating into an international market. 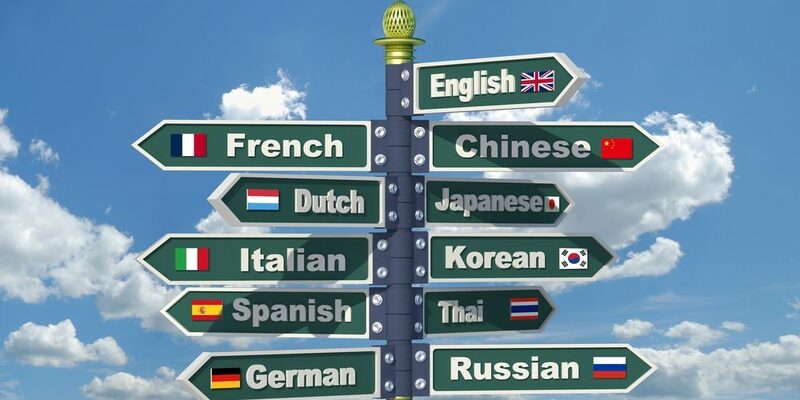 What Languages Should You Have Your Website Localized Into? This really depends on the industry your business falls under and audience you are wanting to attract. Every business will vary and there are many components to consider when deciding which languages to have your website localize into. The following are a few scenarios that may be able to help in understanding the variables associated website localization language choice. Example 1. Perhaps you live in a city in the United States that has a large Russian population, this would be a great opportunity to localize your website into Russian in order to better accommodate the local diverse audience. This would allow your company to create a local niche market right in your own backyard. Example 2. Maybe there is a large Vietnamese following of your product and you want to better accommodate and cater to the needs of your diverse market. Website localization would not only allow your Vietnamese clients to read and understand the information on your site, your marketing would be more appealing to their senses. When content and marketing of a website reflects what’s attractive to the target audience, it entices clients to make purchases and return to your site for future wants and needs. Example 3. Research shows English is the number one language used online with 25.4% of the internet’s population browsing, conversing and shopping in English. However, according to Internet World Stats, there is a list of the top 10 language used online and there are a lot of people who don’t speak English. This information shows you that there are many people using the internet who speak languages other than English. If you’re interested in attracting an international audience but don’t know who to target, having your site localized into the top three languages used online can really show to be a lucrative decision in the long run. Who Do You Consult With in Regards to Website Localization? Professional language service companies (LSC) are where to look when in need of website localization services. Professional linguists, subject matter experts, graphic artists and website designers work alongside one another to create a high quality, impactful website that combines your vision with your target market’s local culture and language. Website localization includes the selection of culturally appropriate images, colors, formatting and the adaptation of content in the new language to be visually appealing to your target audience. LSC’s will guide you through the process and pair you with professionals best fitting for your language and subject matter needs as to ensure industry standards are kept up to par. It’s imperative your website, content and marketing message be perceived in the correct light when entering an international market, this is why working with professional is the only way to successfully and accurately localize your website. When you decide the time is right and you want to embark on this cutting edge, creative and modern way of marketing to linguistically and culturally diverse international audiences, contact Niki’s Int’l Ltd., a reputable and professional LSC. Niki’s Int’l Ltd. has years of experience working with content, marketing messages, images, color and translation in order to transform a company’s English website into a successful localized platform. There goal is to provide clients with a user-friendly, effective and well-received localized website that will allow their business to flourish in the market they are targeting. Don’t wait any longer to elevate your business to international status through the process of website localization, contact Niki’s Int’l Ltd. today. Niki’s Int’l Ltd.is a WBENC-Certified Women Business Enterprise with 20 years of language service experience. A global network of highly skilled interpreters and translators are available 24 hours a day, 7 days a week for on-site, telephonic and video remote interpretation services. Our linguists are available in over 350 languages and dialects, and our network includes certified interpreters and translators. Our work is guaranteed with a $1 Million Errors & Omissions policy, so that you can be confident that your project will be completed with the highest level of quality and professionalism within the field. For more information contact us at 1-877-567-8449 or visit our website at www.nilservices.com.